Recent poems in my life, with which to emerge from winter? 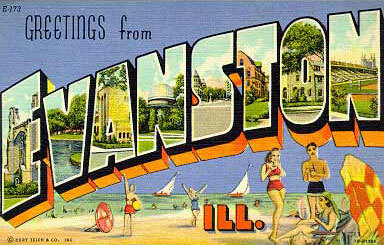 – Greetings from Evanston, Ill. Recent poems in my life, with which to emerge from winter? I know we are still in the first days of February. After temperatures were scarf-less early in the week, bone chills re-emerged last night. But I find myself favoriting the warmth in what I read — Jhumpa Lahiri learning Italian, Cord Jefferson writing about his love for his mother, Washingtonian magazine noting (and capturing visually, if briefly) acres open city land and beautiful city-ancient buildings before they’re gone or disfigured, and, as usual, some poems. Recently in my feeds as well have been two catch-you-off-guard poems about desire: Mary Jo Bang’s “Definitely” (“What is desire / But the hardwire argument given / To the mind’s unstoppable mouth”) and Heather Christle’s “Pursuits” (“It only gets worse / A girl’s gotta eat”). And I’ve been catching up on The New Yorker too. Catching up for real. Before the holidays, my backlog had hit three or four months, and the physical stack was so sad. But I began digging over Christmas and have kept the pages turning. I’m now on the current issue. And it’s a double! I’m going to be a week ahead! Maybe. If I finish it today. You can’t count your Remnick chickens before they’re read. And run to the window and shout his name: “Come, Merhav! Last but not entirely, I’m two issues behind on Poetry (after Conde Zero, so soon, I promise), but two favorites from the December issue were Caroline Bird’s “The Amnesty,” which packed so much metaphor and love in so little space, and Nate Marshall “Harold’s Chicken Shack #86,” which wrings Northwestern, names, race, and poverty from half a quote in a newspaper story. Marshall also has a good one in the issue about Oregon Trail (“my first venture west was in Windows 98 / or Independence, Missouri…”), and the Poetry Foundation site turns up him penning a “Harold’s Chicken Shack #1.” Maybe the “#86” of the Northwestern poem is poetic license, but I hope there are 84 in between. I’d like to read them. Related: The Springsteen song “Amnesty” made me think of. No one will put this song on a greatest-hits compilation, or any kind of compilation that comes to mind. But I’ve always found it strange and special, the best song on a not-great album. Heard it playing during a nice dinner at a nice restaurant last fall — Garrison, on Barracks Row — and found it fitting. Related: It was a nice surprise to find Sally Jenkins writing on the front page of the Washington Post‘s Sports section recently about the friendship between NBA coach Phil Jackson and poet Mary Karr. I blogged about Karr’s “Loony Bin Basketball” poem here two years ago, and the article was a good reason to go back and reread the poem and her interview partly about it. They say Twitter will begin an algorithmically ordered timeline next week. They say it will be optional. I’m glad for the latter.